The projectors I was looking at weren't too cheap, and not the ebay ones that most get. I was looking at the Spyder projectors and putting a 55w 6000k HID in them, but I may just end up doing a retrofit. After I saw those pics of your output with them, and I got thinking, it would probably be worth it to spend about the same money and put the time into a proper retrofit. Excellent post Raptor! That's the best "sum up" I think I've ever read on automotive lighting. i have 2 questions. one, i understand theres a difference between the 3000k and the other ones, but is it brighter or dimmer then standard halogens? i want brighter then the stock halos, but i want the yellow color too. and 2, is there a difference in the balasts from say a 12000k kit and a 8000k kit? basically, can you change the bulbs without changing other pieces from the kit? Yes you can change the bulbs without changing other parts. 3000k is a foul weather bulb that is most effective as a foglamp, its a deeper yellow than factory and could get you in trouble with the law more easily. You want 4300k. It is whiter than stock but still with a hint of yellow. thanks a million! 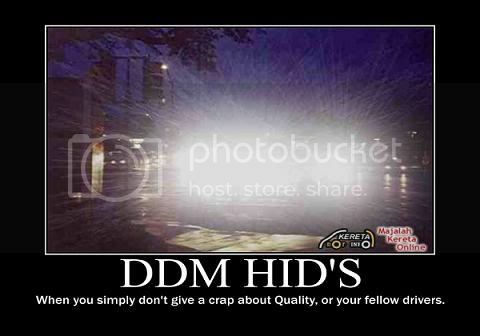 im definitely getting some HID fogs! ~~~~~~~it is hard to read this post! ...What's so hard about it? BAMP OF ALL HOLY BAMPS. I just spent the last two hours fixing links, adding pictures and much much more!!!! Words cannot describe how much my back hurts from this $20 Wal-Mart chair! -Typed A LOT of stuff to lessen confusion and make the whole article flow a lot more smoother. -Removed some biased statements and rephrased them to a scientific standpoint. -Added index of terms to the top. Tomorrow I hope to begin working on the mess that is the Official Bulb Guide. I also plan to add a lot more bulbs to the lineup as well! Last edited by Raptor05121; 08-27-2011 at 02:39 AM. Luv my hid's on my 09 screw 4-4.. Factory lights weren't up to my standards!